Match ends, MK Dons 3(6), Peterborough United 3(5). Penalty Shootout ends, MK Dons 3(6), Peterborough United 3(5). Goal! 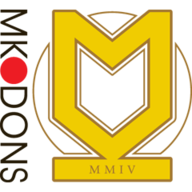 MK Dons 3(6), Peterborough United 3(5). Sam Nombe (MK Dons) converts the penalty with a right footed shot to the bottom right corner. Penalty saved! Alex Woodyard (Peterborough United) fails to capitalise on this great opportunity, right footed shot saved in the centre of the goal. Goal! MK Dons 3(5), Peterborough United 3(5). Baily Cargill (MK Dons) converts the penalty with a left footed shot to the top left corner. Goal! MK Dons 3(4), Peterborough United 3(5). 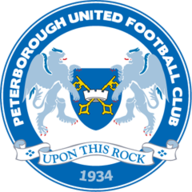 Jamie Walker (Peterborough United) converts the penalty with a right footed shot to the bottom right corner. Goal! MK Dons 3(4), Peterborough United 3(4). Rhys Healey (MK Dons) converts the penalty with a right footed shot to the bottom right corner. Goal! MK Dons 3(3), Peterborough United 3(4). George Cooper (Peterborough United) converts the penalty with a left footed shot to the bottom right corner. Goal! MK Dons 3(3), Peterborough United 3(3). Callum Brittain (MK Dons) converts the penalty with a right footed shot to the centre of the goal. Goal! MK Dons 3(2), Peterborough United 3(3). Matt Godden (Peterborough United) converts the penalty with a left footed shot to the bottom right corner. Goal! MK Dons 3(2), Peterborough United 3(2). Ryan Watson (MK Dons) converts the penalty with a right footed shot to the bottom right corner. Goal! MK Dons 3(1), Peterborough United 3(2). Marcus Maddison (Peterborough United) converts the penalty with a left footed shot to the top left corner. Goal! MK Dons 3(1), Peterborough United 3(1). Ousseynou Cissé (MK Dons) converts the penalty with a right footed shot to the centre of the goal. Goal! MK Dons 3, Peterborough United 3(1). Ivan Toney (Peterborough United) converts the penalty with a right footed shot to the centre of the goal. Penalty Shootout begins MK Dons 3, Peterborough United 3. Second Half ends, MK Dons 3, Peterborough United 3. Corner, Peterborough United. Conceded by Stuart Moore. Attempt saved. Matt Godden (Peterborough United) left footed shot from the right side of the box is saved in the bottom right corner. Goal! MK Dons 3, Peterborough United 3. Matt Godden (Peterborough United) left footed shot from very close range to the centre of the goal. Assisted by George Cooper with a cross. Attempt saved. Ryan Watson (MK Dons) right footed shot from outside the box is saved in the bottom left corner. Attempt missed. Callum Brittain (MK Dons) right footed shot from the centre of the box is just a bit too high. Corner, Peterborough United. Conceded by Sam Nombe. Goal! MK Dons 3, Peterborough United 2. Jamie Walker (Peterborough United) right footed shot from the right side of the box to the bottom left corner. Substitution, MK Dons. Aidan Nesbitt replaces David Kasumu. Substitution, MK Dons. Charlie Pattison replaces Finn Tapp. Attempt missed. Matt Godden (Peterborough United) right footed shot from the left side of the box is close, but misses to the right. Attempt missed. David Kasumu (MK Dons) right footed shot from outside the box is close, but misses to the right. Substitution, Peterborough United. Matt Godden replaces Louis Reed. Attempt missed. Oran Jackson (MK Dons) header from the centre of the box is close, but misses to the left. Corner, MK Dons. Conceded by Conor O'Malley. Attempt saved. Rhys Healey (MK Dons) right footed shot from outside the box is saved in the bottom right corner. Ryan Watson (MK Dons) wins a free kick in the defensive half. Foul by Jamie Walker (Peterborough United). Alex Woodyard (Peterborough United) wins a free kick on the right wing. Oran Jackson (MK Dons) is shown the yellow card for a bad foul. Foul by Oran Jackson (MK Dons). Attempt missed. Ousseynou Cissé (MK Dons) left footed shot from outside the box is close, but misses to the right. Corner, Peterborough United. Conceded by Baily Cargill. Corner, Peterborough United. Conceded by Ousseynou Cissé. Substitution, MK Dons. Sam Nombe replaces Chuks Aneke. Attempt saved. Ivan Toney (Peterborough United) right footed shot from the centre of the box is saved in the top centre of the goal. Attempt missed. Chuks Aneke (MK Dons) right footed shot from the centre of the box is close, but misses to the left. Jamie Walker (Peterborough United) wins a free kick on the right wing. Foul by Rhys Healey (MK Dons). Josh Yorwerth (Peterborough United) wins a free kick in the attacking half. Jamie Walker (Peterborough United) hits the left post with a right footed shot from outside the box. Attempt missed. Ryan Watson (MK Dons) right footed shot from outside the box is close, but misses to the left. Attempt missed. Rhys Healey (MK Dons) right footed shot from the centre of the box is high and wide to the right. Attempt blocked. Jamie Walker (Peterborough United) left footed shot from the right side of the box is blocked. Finn Tapp (MK Dons) wins a free kick in the defensive half. Ryan Watson (MK Dons) wins a free kick in the attacking half. David Kasumu (MK Dons) wins a free kick in the defensive half. Goal! MK Dons 3, Peterborough United 1. George Cooper (Peterborough United) from a free kick with a right footed shot to the top right corner. Attempt saved. Jamie Walker (Peterborough United) left footed shot from the centre of the box is saved in the centre of the goal. Attempt missed. Louis Reed (Peterborough United) right footed shot from outside the box is close, but misses to the right. Corner, Peterborough United. Conceded by Oran Jackson. Attempt missed. Ivan Toney (Peterborough United) header from the centre of the box is close, but misses to the right. Ousseynou Cissé (MK Dons) wins a free kick in the defensive half. Second Half begins MK Dons 3, Peterborough United 0. Substitution, Peterborough United. Jamie Walker replaces Isaac Buckley-Ricketts. First Half ends, MK Dons 3, Peterborough United 0. Goal! MK Dons 3, Peterborough United 0. Chuks Aneke (MK Dons) left footed shot from the centre of the box to the bottom left corner. Assisted by Mitch Hancox with a cross. Attempt missed. Baily Cargill (MK Dons) header from the left side of the box is close, but misses to the left. Corner, MK Dons. Conceded by Josh Yorwerth. Attempt missed. Isaac Buckley-Ricketts (Peterborough United) left footed shot from the centre of the box is just a bit too high. Louis Reed (Peterborough United) hits the right post with a left footed shot from outside the box. Foul by Finn Tapp (MK Dons). Substitution, Peterborough United. Alex Woodyard replaces Callum Cooke because of an injury. Goal! MK Dons 2, Peterborough United 0. Rhys Healey (MK Dons) header from the centre of the box to the bottom left corner. Assisted by Ryan Watson following a set piece situation. Foul by Darren Lyon (Peterborough United). Darren Lyon (Peterborough United) wins a free kick in the defensive half. David Kasumu (MK Dons) is shown the yellow card for a bad foul. Foul by David Kasumu (MK Dons). Josh Yorwerth (Peterborough United) wins a free kick in the defensive half. Attempt missed. Chuks Aneke (MK Dons) right footed shot from the centre of the box is too high. Foul by Josh Yorwerth (Peterborough United). Attempt missed. Ivan Toney (Peterborough United) right footed shot from the centre of the box misses to the left. Louis Reed (Peterborough United) wins a free kick in the attacking half. Attempt missed. Oran Jackson (MK Dons) header from the left side of the six yard box is just a bit too high. Corner, MK Dons. Conceded by Ryan Tafazolli. Attempt saved. Rhys Healey (MK Dons) right footed shot from the left side of the box is saved in the centre of the goal. Attempt saved. George Cooper (Peterborough United) right footed shot from outside the box is saved in the centre of the goal. Goal! MK Dons 1, Peterborough United 0. Chuks Aneke (MK Dons) header from the centre of the box to the top left corner. Assisted by Ryan Watson. Attempt missed. Callum Brittain (MK Dons) header from the right side of the six yard box misses to the right. Attempt saved. Chuks Aneke (MK Dons) right footed shot from the centre of the box is saved in the bottom right corner. Attempt missed. Louis Reed (Peterborough United) right footed shot from the left side of the six yard box is just a bit too high. Attempt saved. Marcus Maddison (Peterborough United) left footed shot from the centre of the box is saved in the top left corner. Attempt missed. Ryan Watson (MK Dons) right footed shot from outside the box misses to the right.